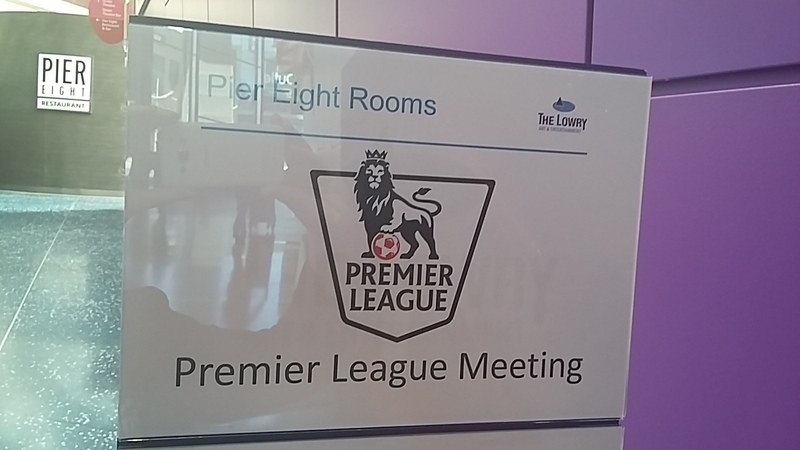 Today, we have been invited to the Lowry Theatre in Manchester to present The Shippey Campaign to Premier League Clubs. Cathy Long, Head of Supporter Services invited us to talk to clubs nationwide, including those whom we haven’t met with yet. Our presentation provided representatives from each club with the opportunity to ask more about the campaign and find out more. We are thrilled that we have full backing from the Premier League and we are hoping for more of our rooms in more stadia soon!